Gilbert Newton Lewis was born on October 23, 1875 in Weymouth, Massachusetts. His father, Francis Lewis, was a lawyer. When he was nine his parents moved to Lincoln, Nebraska. Lewis had no formal schooling until he was admitted to a preparatory school for the University of Nebraska at the age of 13. He attended the University of Nebraska for two years, then in 1893 he went to Harvard College where he graduated in 1896. After a year of teaching at Philips Academy Andover outside of Boston he returned to Harvard where he earned his MA in 1898 and his PhD in 1899 with a dissertation on electrochemical potentials. He remained at Harvard for on more year as an instructor then went on a traveling fellowship where he visited Wilhelm Ostwald in Leipzig and Walther Nernst in Gottingen. When he returned he spent three more years at Harvard before moving the the Philippines where he was superintendent of weights and measures and chemist at the Bureau of Science. He returned to the United States in 1905 to a faculty position at the Massachusetts Institute of Technology, where he was appointed assistant professor in 1907, associate professor in 1908, and full professor in 1911. In 1912 he left M.I.T. for the University of California at Berkeley where he was dean of chemistry and a professor of physical chemistry. His time in California was interrupted by First World War when Lewis served as a major in the gas service and chemical warfare service. His first research interest was thermodynamics. He introduced the idea of activity, or the effective concentration of a chemical species in solution. Lewis is best remembered for his valence theory and the eponymous dot structures. Lewis pictured atoms as cubes with the electrons at the corners. We now know that atoms are spherical and their electrons are spread out in orbitals. 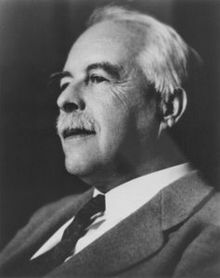 Lewis also wrote papers on relativity and defined acids and bases as electron acceptors and electron donators respectively. Lewis was the first to produce deuterium oxide (heavy water) using Ernest Lawrence's cyclotron in 1933. Honors won by Lewis include election in to the National Academy of Science in 1913. Because of his disagreements with Walther Nernst he was never awarded the Nobel Prize although he was nominated 30 times. He was awarded numerous honorary doctorates and membership in Royal Society, the Chemical Society of London and the Indian, Swedish, and Danish Academies of Science. On March 23, 1946 Lewis died in a laboratory accident involving hydrogen cyanide which some believed was suicide.